Finestone Granite and Marble are source natural stone products from exotoc locations such as Italy, Brazil, India and Africa. They cater for a custom audience and have become the preferred supplier for builders, architects, designers and stonemasons throughout the Gold Coast. 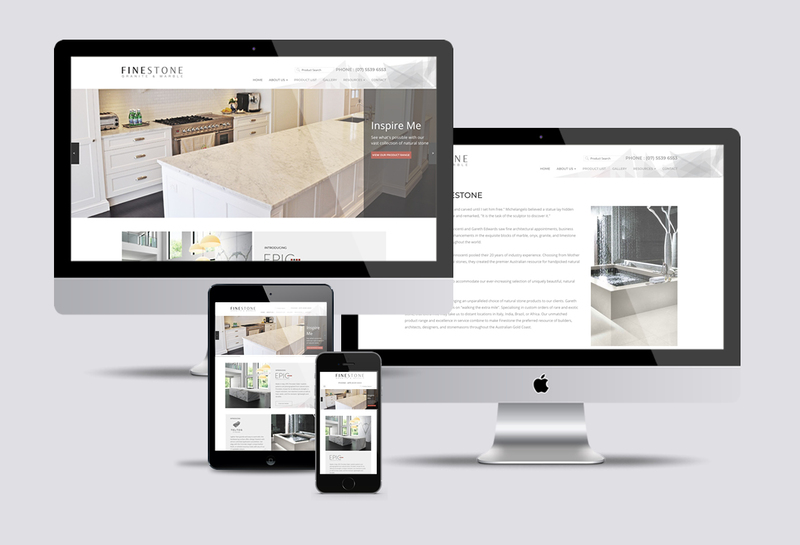 Finestone needed a website robust enough to catalogue their huge product range making it easy for a visitor to find the product they are looking for as well as beautiful enough to do their exquisite products justice.